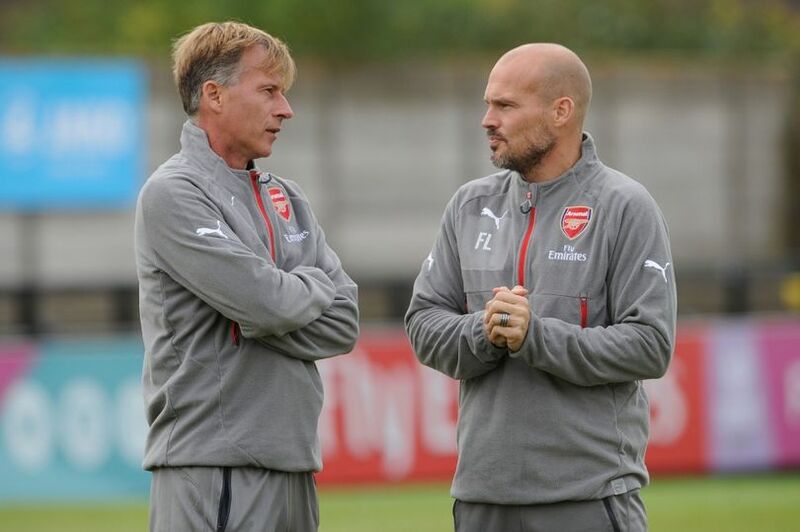 Arsenal Academy Coach Andries Jonker has left the club recently, to take up the reins at VFL Wolfsburg and rescue them from the ignominy of Bundesliga relegation. Jonker took the Academy role in 2014, replacing club legend Liam Brady. The Academy itself was not in the rudest of health, with a severe lack of honours competing against their domestic counterparts and also a drought in regards to these starlets making the jump into the first team squad. Both parameters are the only true gauge to discern whether the Academy Chief is performing to the level necessary or not. In these regards, Jonker did not fail, but neither did he succeed. He plateaued, carrying on where Brady left off, but despite the constant stream of promise, there has been precious little sign of a breakthrough. There have been shoots of growth though, where before there was none. Alex Iwobi is one who could be claimed as a success for Jonker, although with Brady leaving in 2014, ‘Chippy’ could lay claim to this treasure just as much as Jonker has. There is also Chris Willock and Ainslie Maitland-Niles who have made their presence felt on first-team matters, so Jonker was at least getting the Academy stepping in the right direction. Then there is the issue of a club legend leaving the club. Another one. Freddie Ljungberg was tasked with overlooking the Under-15 team alongside his Ambassadorial role for the club. He only took the job this year, and yet he has also left for Wolfsburg to take the Assistant manager’s job alongside Jonker. It must have been a very tough option to turn down. Freddie took the Arsenal coaching position to earn his coaching badges and some vital experience, so an Assistant Manager job at a top flight club is the perfect stepping stone for the Swede. For Jonker also, to return to a club he has ties to and to be offered the top job – it was a no-brainer for him. It is sad to see one of our own depart the club though. One who is steeped in our ways. One who achieved so much for Arsenal, to ply their trade somewhere else does not sit quite right. With Thierry Henry opting to cultivate his TV career alongside his coaching duties, Patrick Vieira in the MLS and Tony Adams in China, there is a wealth of experience that we could tap into and instantly improve our Academy and coaching setup. New ideas alongside an affinity with the club is a potent mixture that is hard to find, but there is still hope. With these vacancies, we could well recruit other legends who are working elsewhere and who have already accrued the experience needed to hit the ground running in a new job – especially one at Arsenal. Marc Overmars and the one and only Dennis Bergkamp are two names who spring to mind. The flying winger has played a role at his boyhood club Go Ahead Eagles, and he is currently Technical Director at Ajax. This position should not be downplayed, as Ajax’s youth system is one of the best in the world and is responsible for a huge amount of stars from the past, the present and more than likely the future. The pressure, the expectancy would be huge on Overmars’s shoulders. Then there is The Iceman. The player who has taken on demi-god status ar Arsenal. With such a level of worship, there is always the risk of sullying a reputation when you return to the site of your glories, but Bergkamp knows football. His book, ‘Stillness and Speed’ tells you all you need to know about how seriously he takes the technical aspects of football. It is undeniable that Bergkamp would be a massive asset at Arsenal and if he carries on in his current coaching trajectory, then there is only one place he will end up. We could get him sooner rather than later though. There are many other names that could be added to the list, but with Andries Jonker gone and Freddie impressing so much that he has gone with Jonker as his Number2 – it means we have an opportunity to pick the best options now. Thank you to Andries Jonker and we will all miss Freddie at the club. Let us hope they are both a success and that Freddie has a chance to come back home. Sad I agree that its sad to see Freddie leave, apart from joining Wolfsburg he also joins the illustrious list of ex Invincibles who have sought challenges elsewhere, They are indeed an untapped pool of skill, knowledge and experience that we could well use in these troubled times. It may well be that they have definite opinions on current styles and strategies and that may not be a welcome attribute. Although several of them have made public statements in support of the incumbent I believe that they may have personal opinions as to how our current plight could be averted. Given the statement of yesterday the we are now ‘back on track’ after the win against Lincoln and that the fans are being ‘brainwashed’, I can’t really embrace the idea that all the ideas and wisdom from other sources, albeit all Arsenal legends, would be welcomed. How and why would that possibly happen when there’s nothing wrong in the first place – surely the constant input from Steve Bould during each game is input enough – my cynical attempt at paraphrasing AW’s attitude and behaviour. From memory I recall that Pat Rice appeared as equally lacking in comment as Steve. The most important reason for change is to recognise that something needs changing in the first instance, once that has been accepted then there is an opening for the input of others. From the comments of yesterday we are nowhere near that point at the moment. I would venture that statues around the stadium have as much chance of influence as the flesh and blood originals do. 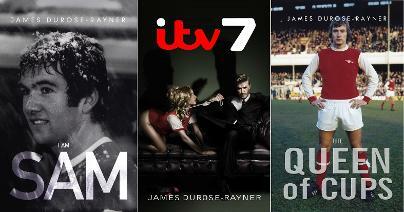 Heaven knows why there are a lack of our legends back at the club, but you put forward a compelling case! I’d agree though, that Wenger is obstinate and difficult to talk to regarding fresh ideas.